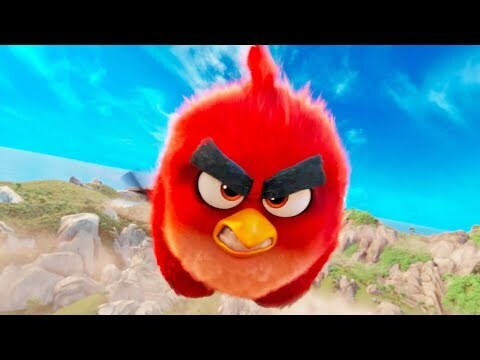 see both trailer for The Angry Birds Movie 2 ! 🐦 + 🐷 = 😳🤯! ENEMIES BECOME FRENEMIES in the new trailer for The #AngryBirdsMovie2, teaming up in theaters this summer! The flightless angry birds and the scheming green piggies take their beef to the next level in The Angry Birds Movie 2! When a new threat emerges that puts both Bird and Pig Island in danger, Red (Jason Sudeikis), Chuck (Josh Gad), Bomb (Danny McBride), and Mighty Eagle (Peter Dinklage) recruit Chuck’s sister Silver (Rachel Bloom) and team up with pigs Leonard (Bill Hader), his assistant Courtney (Awkwafina), and techpig Garry (Sterling K. Brown) to forge an unsteady truce and form an unlikely superteam to save their homes.